Panasonic unveiled two devices today and will launch two more models in October. 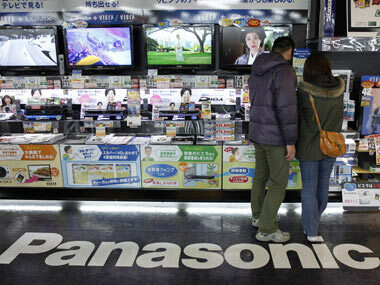 Japanese tech giant Panasonic today said it expects sell around 500,000 units in India within two months of the current festive season as it launches new devices in the online as well as offline retail channels. It unveiled two devices today and will launch two more models in October. "Festive season is important to us and we are bringing in offers for customers, both online and offline. We expect to sell about 500,000 devices in these two months (September- October) itself," Panasonic India Business Head Mobility Division Pankaj Rana told PTI. He added that the festive season accounts for about 30 per cent of the company's annual sales. "We plan to bring in two more devices that will be online-only through Flipkart. These will be in the sub-Rs 10,000 range. We have significantly ramped up our portfolio to cater to consumer needs in the country," he said. Talking about the launches, Rana said the competition in the Indian market is tough but the company is focusing on bringing in differentiated devices. "If you look at the Eluga Ray 500 and Eluga Ray 700, you will not find another that matches the specifications and the price. These are definitely killer phones," he said. In six months, he added, these two devices alone should be able to clock sales of 500,000 units. The Ray 500, priced at Rs 8,999 features 5-inch display, 1.25 GHz quad-core processor, 3GB RAM, 32GB internal memory (expandable up to 128GB), 13MP rear and 8 MP dual rear camera and 5MP front camera and 4,000 mAh battery. Priced at Rs 9,999, the Ray 700 has a 5.5 inch display, 1.3 GHz octa-core processor, 13MP rear and front camera and 5,000 mAh battery. These two devices will be available on Flipkart from tomorrow as part of the e-commerce players Big Billion Days sale.